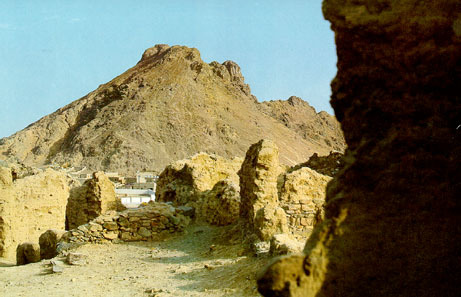 Prophet (S.A.W) fixed the duty of some soldiers over this pass and ordered not to move till next instructions. 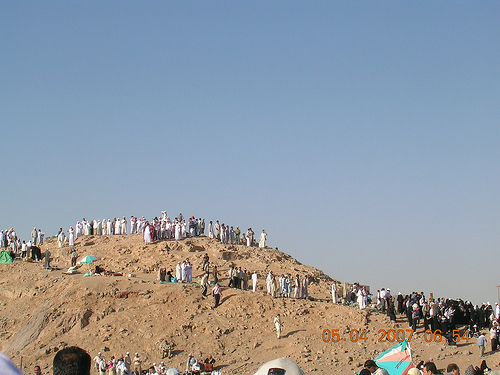 In UHAD Muslims fought bravely and well powered enemy started to run back. 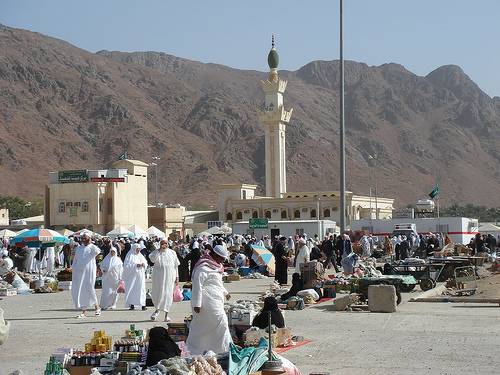 Seeing this victory, the soldiers who were performing their guard duty over "pass", forgot the instruction of Prophet (S.A.W) unintentionally and started to loot the goods what enemies left in the battlefield (As per Islamic rules looting of enemies goods in battle field is allowed). 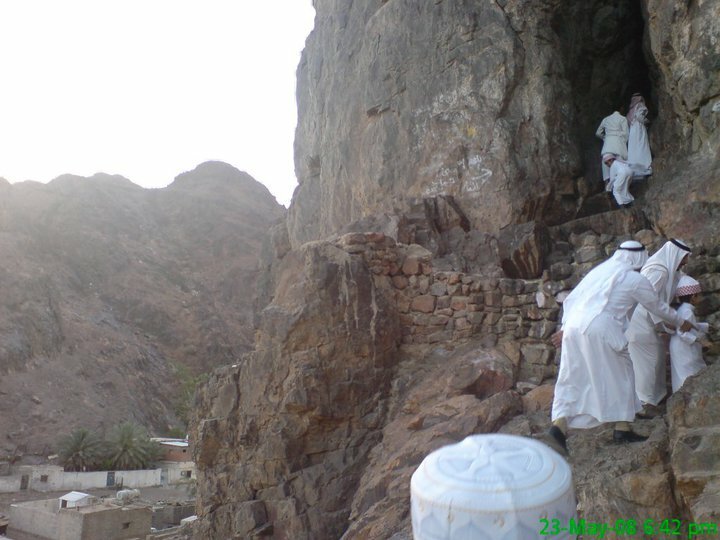 It is gift of Almighty Allah.They left the "pass" opened. In this situation brave Khalid Bin Waleed(He had not embraced Islam till then) took a turn with his soldiers and re-attacked over Muslims. It was so sudden and Muslims took little time to handle this accidental situation. Muslims again fought bravely but due to disobedience of Prophet (S.A.W) orders Muslims had to bear a loss of more than 70 lives in which Shahadat of "AMEEER HAMZA"- uncle of Prophet,was very precious. In this battle precious holy teeth of beloved Prophet(S.A.W) also got hurt. after shahadat of holy teeth. 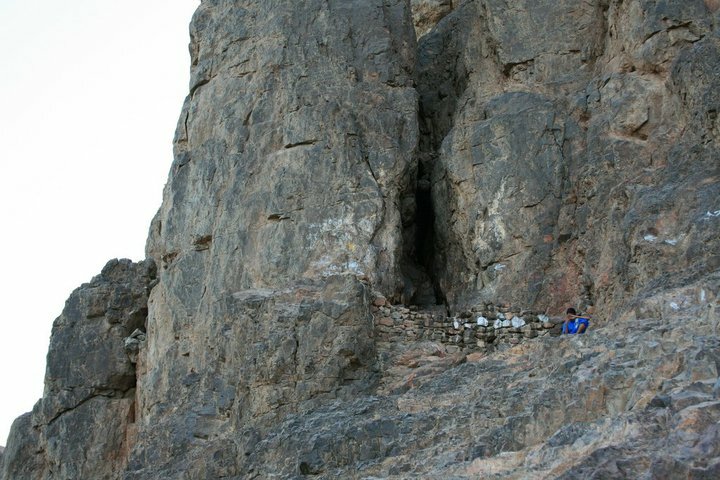 This cave is in uhad mount. 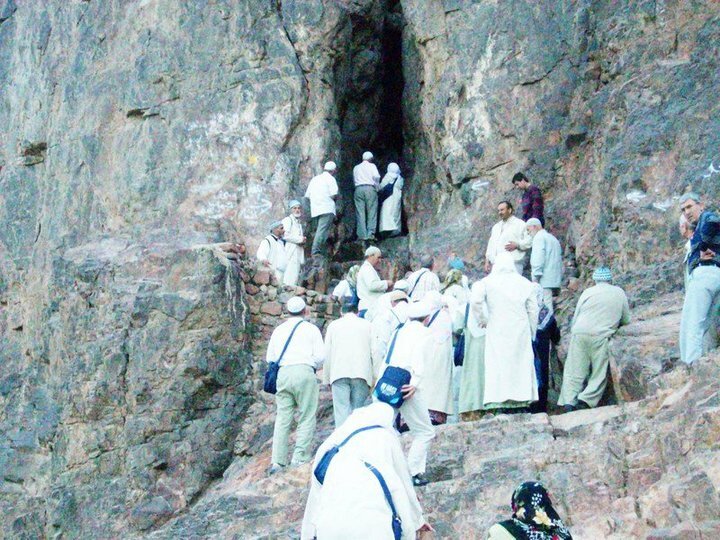 Another view of uhad cave where Rasool Allah was treated after breaking of holy teeth. 2 . 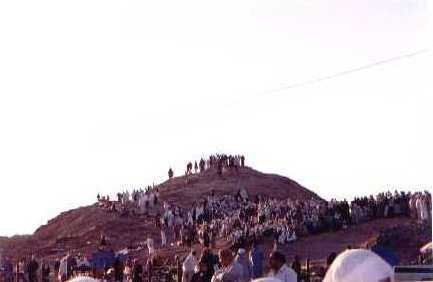 This mount of UHAD has an historical attraction for all pilgrims. It is three kilo meter away fromMasjid-e-Nabvi. 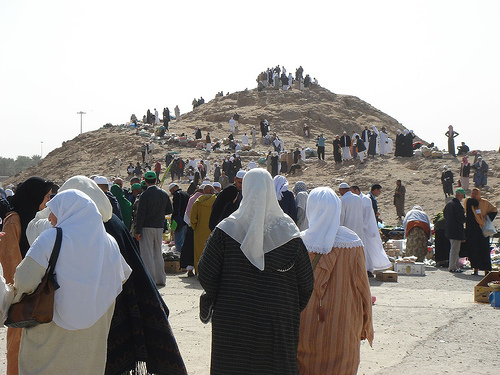 The grave of Syedna Hamza (RA) remains crowded during day time as it is most important point of UHAD. 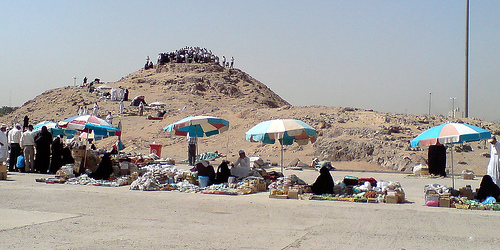 Now the historical "pass" of UHAD is very much destroyed. 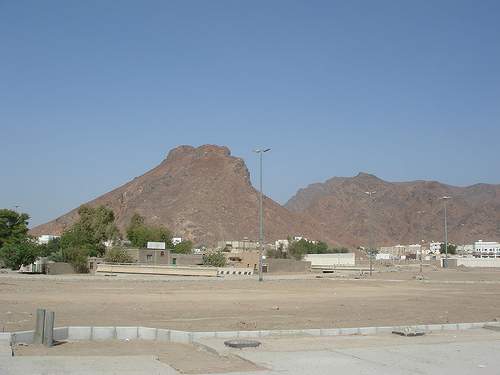 "UHAD Loves us, we love UHAD.You all ,must visit UHAD. You must eat something from here. It may be dry bushes/leaves etc.". allihi wasalam posted 50 archers over a "pass"
was heard in the battlefield saying: La Fata Illa Ali, La Saifa Illa Zulfiqar [There is no brave man except Ali and there is no sward which renders service except Zulfiqar (which was in the hands of Ali)].